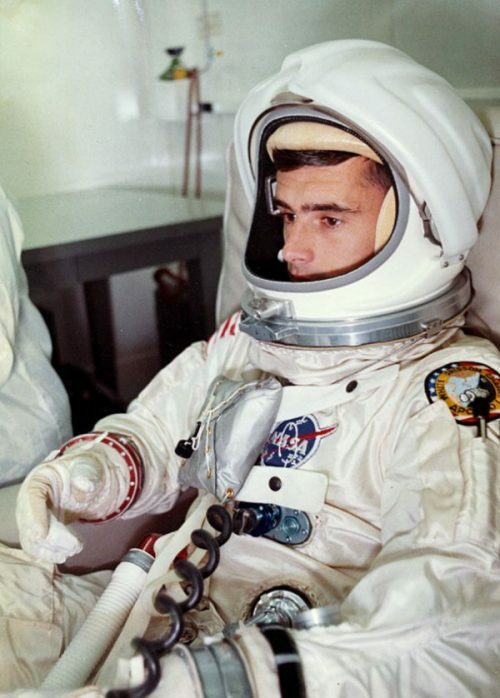 The history of the spacesuit is something that you don’t tend to think about. What you tend to see is the launch vehicle. Be that the giant Saturn V or the not as large Mercury-Atlas. What isn’t thought about is the suit that helps get the squidgy human into space and onto the moon. The suit has changed over the last fifty years. From the simple pressure suit of the Mercury days to the ones that are worn when going outside of the International Space Station. Today’s smallest space vehicle. Yes, you did read that correctly. The spacesuit that the Apollo astronauts wore on the moon was the worlds smallest spacecraft. The only difference between that and the Lunar Lander was that it had to bend! It contained everything that the lander contained, OK not all but you get the idea! It had to protect the human inside from the rigures of space. Be that the heat of the sun, being hit by debris flying about, keeping them in contact with each other and mission control back on Earth. All that and not forgetting keeping them alive with a breathable atmosphere and removing bodily waste. Most of the spacesuits that have been used are not designed to be used in space but to protect the wearer if the vehicle lost pressure. In other words, got a leak! Apart from the ones worn in the early days of the Shuttle era. They were just coveralls with a helmet that had air pumped into. I’m only going to be talking about American suits as that’s what I know the most about. 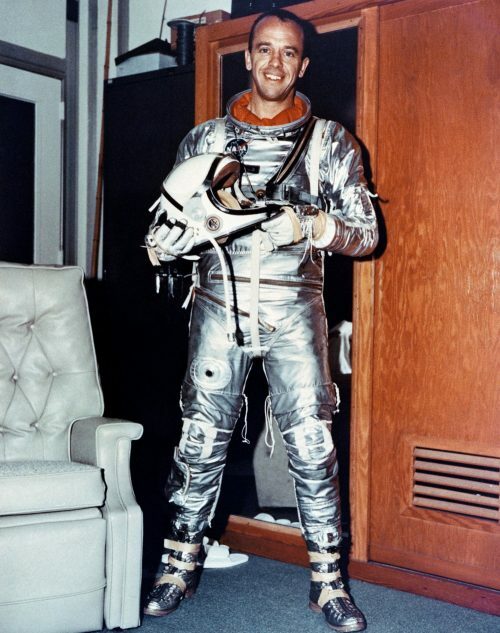 Gemini spacesuits (1965–1966), there were three main variants developed: G3C designed for intra-vehicle use; G4C specially designed for EVA and intra-vehicle use; and a special G5C suit worn by the Gemini 7 crew for 14 days inside the spacecraft. Manned Orbital Laboratory MH-7 spacesuits for the cancelled MOL program. This suit was discovered in a locked cabinet in a museum. Almost a lost artifact of a program that a lot of people are not aware of. What could have been America’s first space station! Apollo/Skylab A7L EVA and Moon suits. 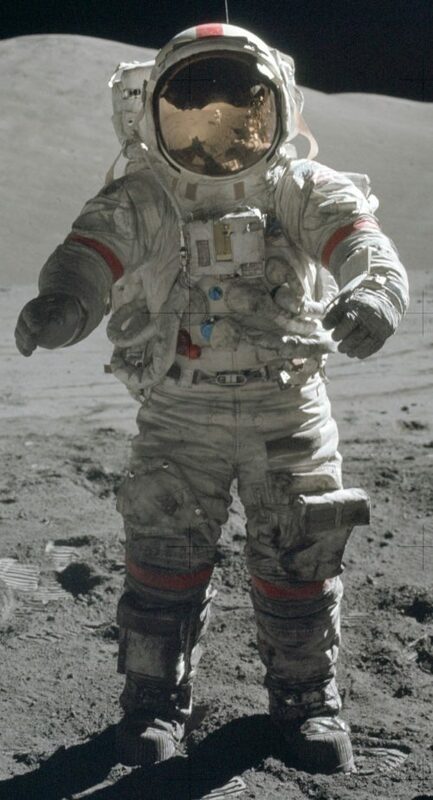 The Block II Apollo suit was the primary pressure suit worn for eleven Apollo flights, three Skylab flights, and the US astronauts on the Apollo–Soyuz Test Project between 1968 and 1975. 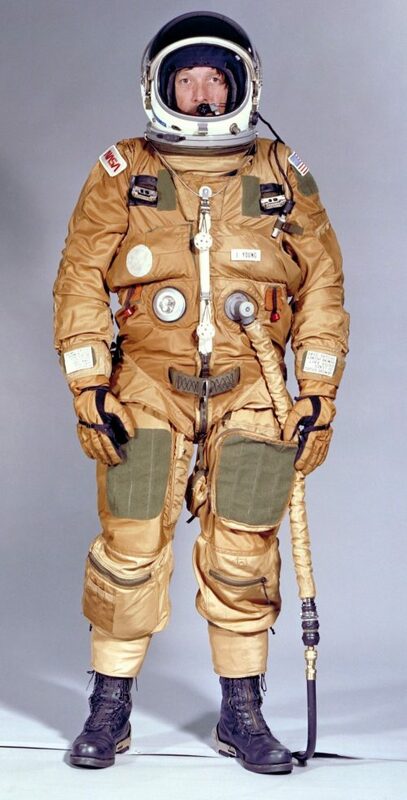 The pressure garment’s nylon outer layer was replaced with fireproof Beta cloth after the Apollo 1 fire. This suit was the first to employ a liquid-cooled inner garment and outer micrometeroid garment. Shuttle Ejection Escape Suit [SEES] used from STS-1 (1981) to STS-4 (1982) by a two-man crew used in conjunction with the then-installed ejection seats. It was a modified suit that SR-71 pilots were wearing at the time. Suitable for high-altitude ejection, if required. The suit, and fitted ejection suits were removed when the Shuttle was certified in 1983 after the STS-4 flight. From STS-5 (1982) to STS-25 (1986) no pressure suits were worn during launch and reentry. The crew would wear only a blue-flight suit with an oxygen helmet. At this time, no escape system was in place. 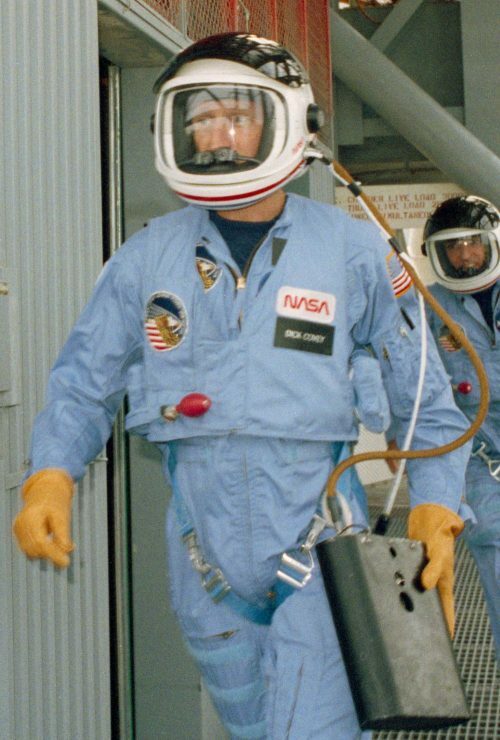 Launch Entry Suit first used on STS-26 (1988), the first flight after the Challenger disaster. This wasn’t a full pressure suit like earlier suits. 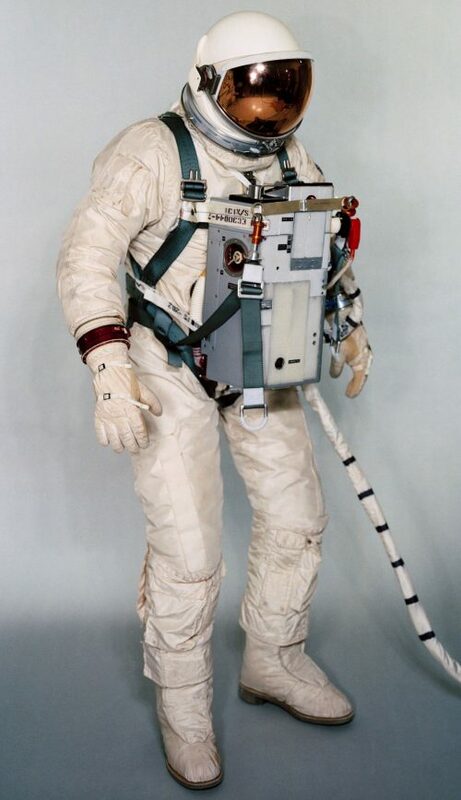 Also, it was the first suit to have its own parachute attached. The SEES suit didn’t have its own parachute as that used the ejection seat’s one. 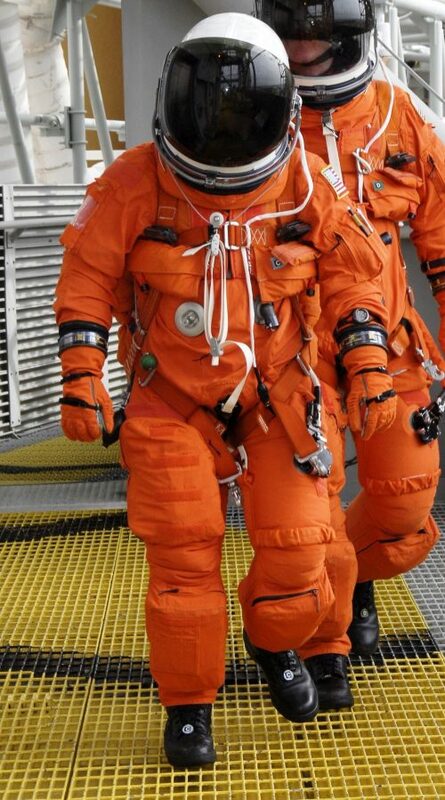 With this suit, came emergency procedures so the crew could escape. It was used from 1988 to 1998. This was the first American suit to be orange. The best colour to use for search and rescue, if the worst happened and the crew had to escape. 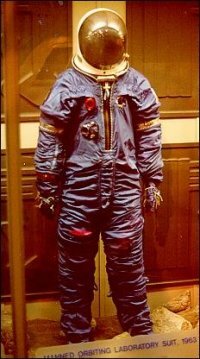 Advanced Crew Escape Suit used on the Space Shuttle starting in 1994. 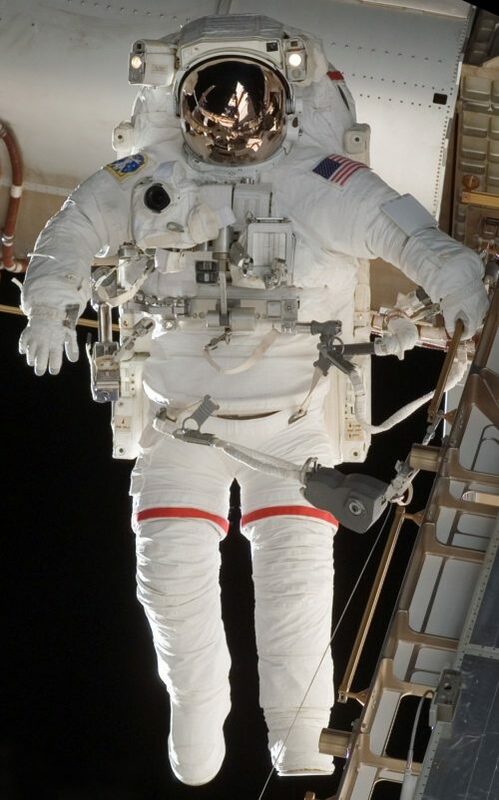 The Advanced Crew Escape Suit or ACES suit, is a full-pressure suit worn by all Space Shuttle crews for the ascent and entry portions of flight. 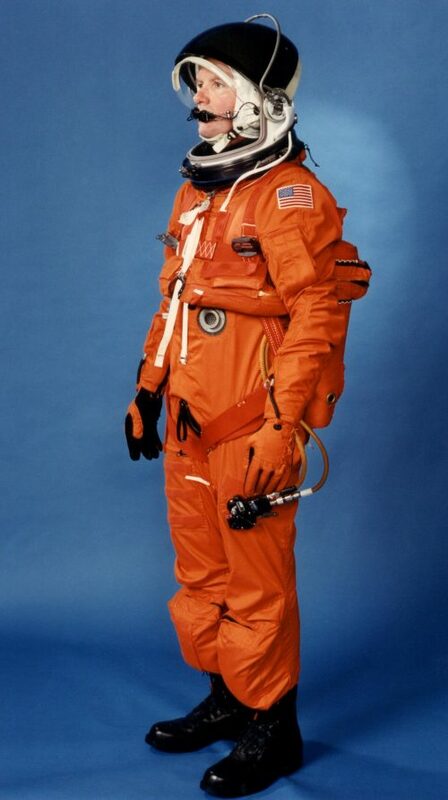 The suit is a direct descendant of the United States Air Force high-altitude pressure suits worn by SR-71 Blackbird and U-2 spy plane pilots, North American X-15 and Gemini pilot-astronauts, and the Launch Entry Suits worn by NASA astronauts starting on the STS-26 flight until the end of Shuttle flights. Extravehicular Mobility Unit (EMU) used on both the Space Shuttle and International Space Station (ISS). The EMU is an independent anthropomorphic system that provides environmental protection, mobility, life support, and communications for a Space Shuttle or ISS crew member to perform an EVA in earth orbit. Used from 1982 to present. Some of the information above has been taken from Wikipedia. It just saved me time thinking about what to say and finding the images on one of NASA’s websites.